Get this combo pack and save money. 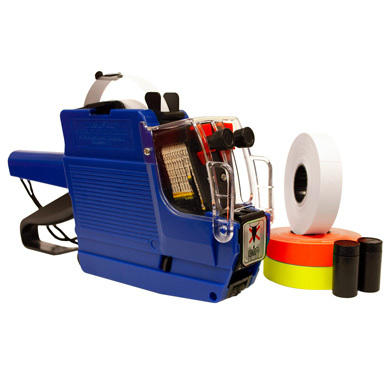 SSS E-Z Two Line Price Gun Labeler is one of our most affordable and durable two line price guns. Dial in your price and print clear and sharp price labels with easy to operate mechanism. One-touch opening system. Lightweight design. Prints 10 character positions on each line. Labeler features a 3 year warranty.